You may already know the risk factors and warning signs for a stroke, but do you know what happens behind the scenes at a hospital when a stroke occurs? 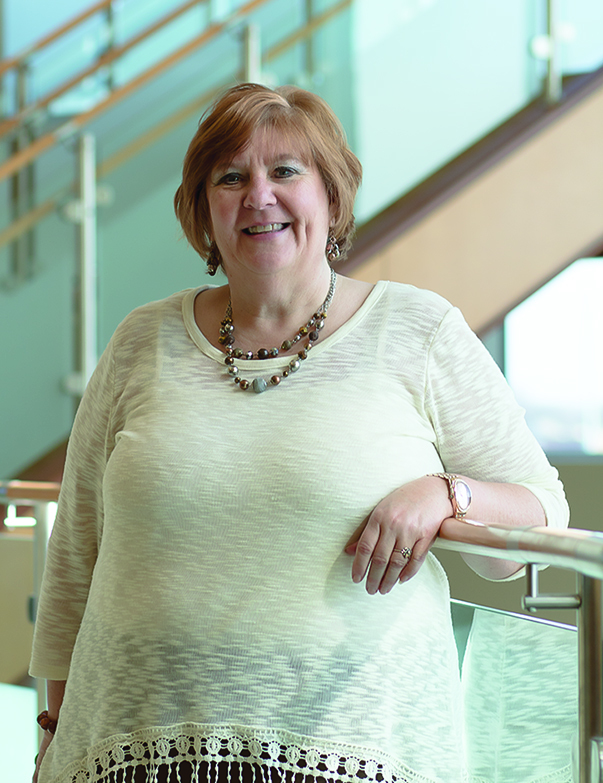 When it comes to stroke knowledge, Terri Hamm, RN, BA, Mercy Medical Center’s stroke coordinator, is an expert. In honor of American Stroke Month in May, we sat down with Terri to get an insider’s perspective on stroke care and what you really need to know if you or someone you know ever suffers a stroke. What is a stroke coordinator? It’s important to know there is a person – a stroke coordinator – whose entire purpose is to make sure stroke patients and their families get the care and information they need. Once a patient arrives, the stroke coordinator will become familiar with patients by reviewing their history, medical records and care plans to assure all appropriate care is provided. The stroke coordinator is available at a moment’s notice to go to the emergency department when a stroke alert is communicated hospitalwide. A stroke alert is called when someone in the hospital is having a stroke and also when someone is in transit to the hospital who is suspected of having a stroke. What happens when a stroke patient gets to the hospital? All stroke patients come through the emergency department and a stroke alert is called. The stroke coordinator, along with a neurologist, emergency staff and the rapid response team gather and are available to care for the patient. The patient quickly gets a CAT scan and, using this image of the brain, the physician can see if there is a clot and where it is located. Tissue plasminogen activator (tPA) – a drug which will break down blood clots to resume blood flow to the brain – is then administered by an IV. 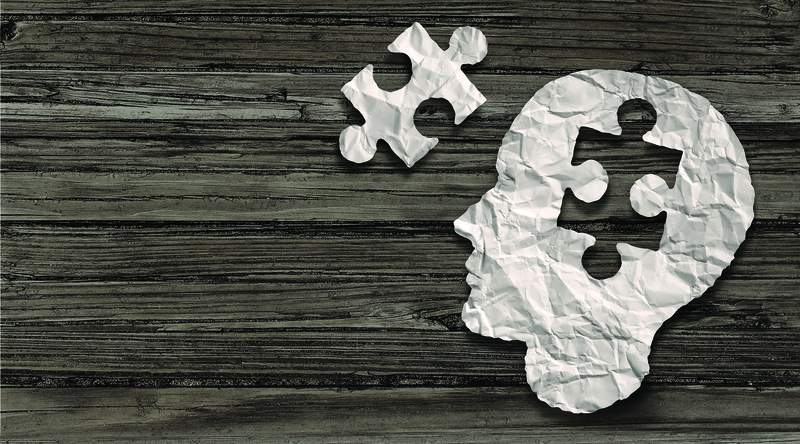 Sometimes patients arrive to the hospital fast enough that the damage to their brain is minimal. The longer the brain goes without blood flow to bring it oxygen, however, the more severe the damage will be. It’s commonly said that “time is brain.” Knowing this, it is important to get medical care as soon as possible when a stroke is suspected. What scares people the most when they realize they’ve suffered a stroke? It’s often not the thought of dying that scares people who have had a stroke, usually it’s the fear they will be disabled. This is the age-old question, and Terri says the most important thing you can do is know your risk factors. Know your blood pressure and cholesterol numbers and take medication if you need help keeping them under control. As you already know, don’t smoke! 80 percent of strokes can be prevented by lifestyle management. Terri also wants people to know that strokes can happen to anyone – it’s not just a health issue for the elderly. If you see signs of facial droop, weakness in one side of the body, trouble with speech or understanding, a sudden change in vision, or numbness/tingling, call 911 immediately. Terri reports people often say “I felt silly coming in for a little numbness.” She wants everyone to know that it’s better to be safe than sorry. She would rather you come in and get checked out and have it be nothing than risk a stroke going untreated. Brain cells never grow back! Learn more. For information on Mercy’s Primary Stroke Center, visit www.mercydesmoines.org/stroke-center. 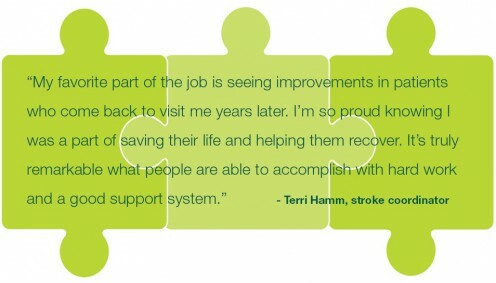 Terri provides community educational outreach on strokes by request to area organizations. If you’d like her to speak to your group about stroke prevention and treatment, email mercyservices@mercydesmoines.org. Next story Urgent Care or Emergency Room: Which One?